The Oceanfast yacht Never Say Never offers ample interior living in a sophisticated ambiance with a ultra-modern design. 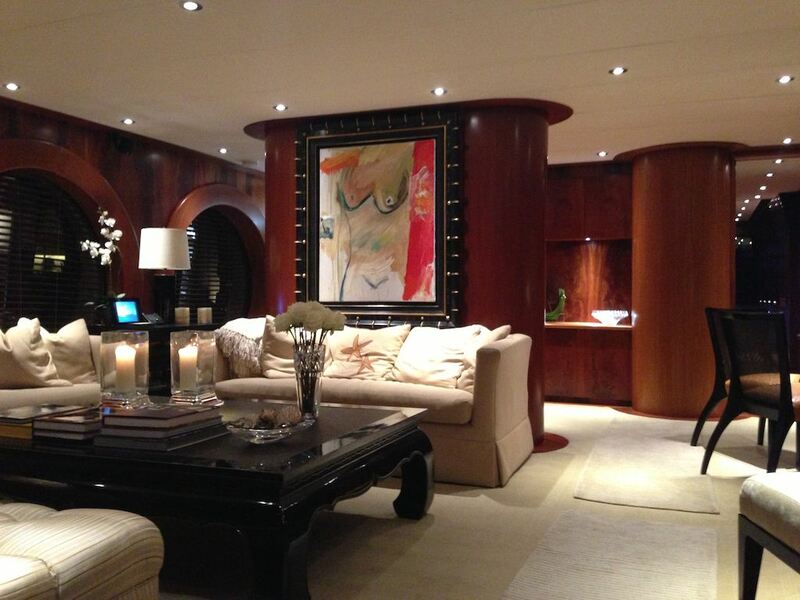 The lounge is located in the forward part of the ship with plush sofas, a large coffee tables and wet bar, ideal for private parties and entertaining. At the rear of the ship is the salon which offers formal dining for 8 guests at a custom built circular wood table, with surrounding booth style seating. 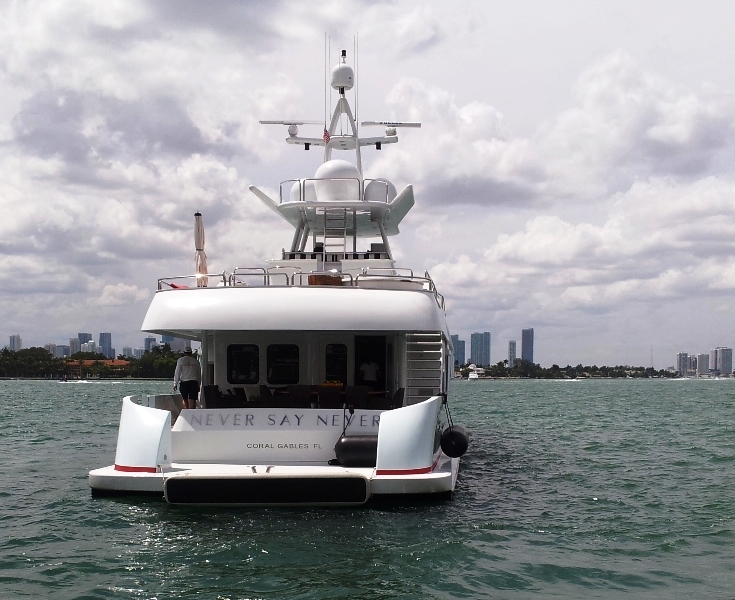 Aboard the Never Say Never, the master cabin is in the forward part of the ship taking full advantage of the views available on your charter. 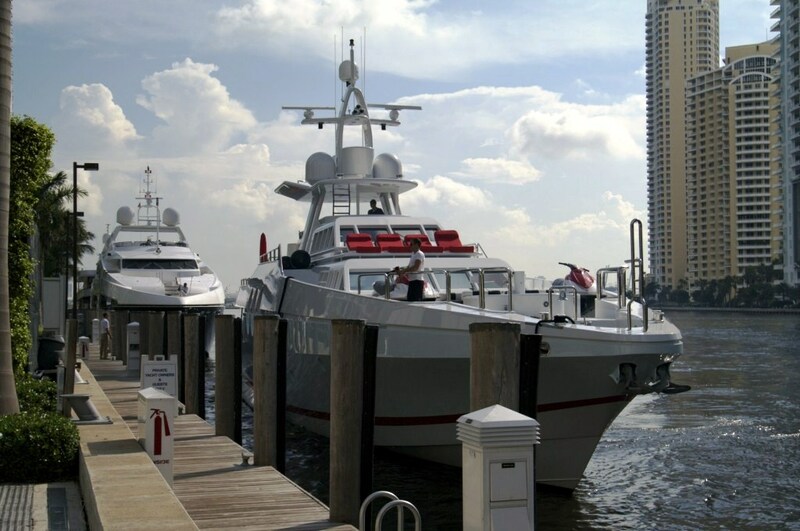 A Charter on Never Say Never has plenty to offer. 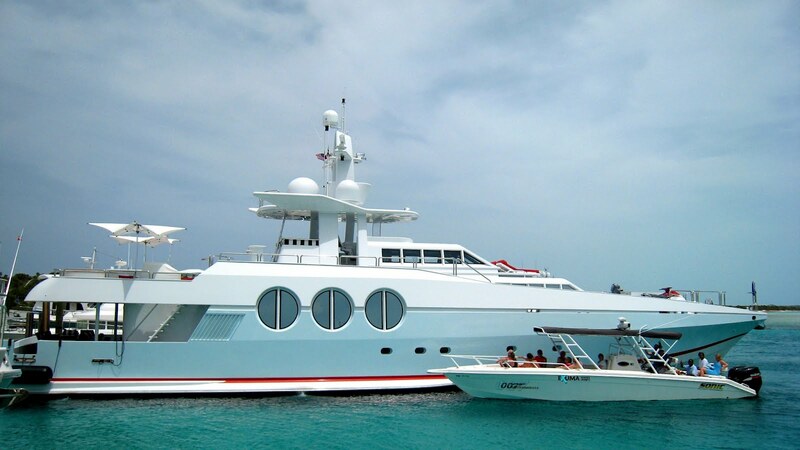 The aft deck has plenty of and features an open air dining option. At the rear a swim platform allows guest to effortlessly access to the tropical waters. 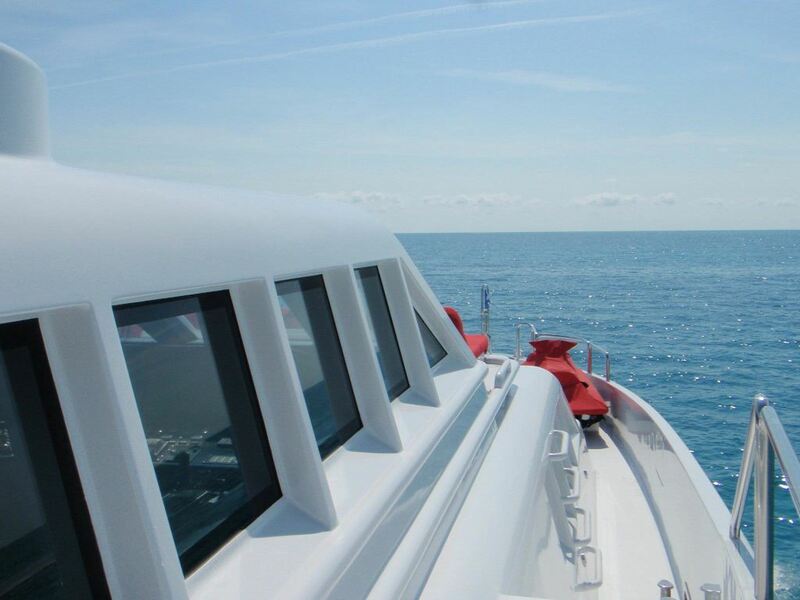 Forward on the main deck are 2 beautiful seating areas and sun pads. 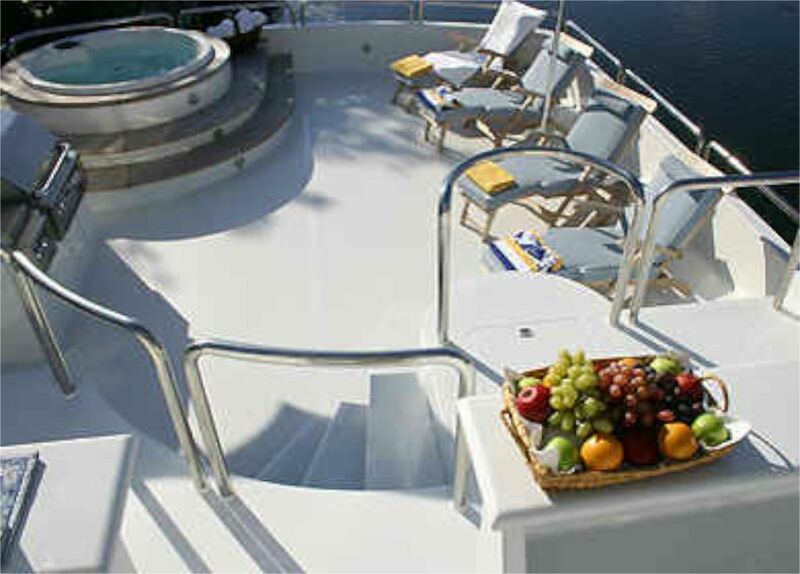 Above the main deck, super yacht Never Say Never offers a sundeck with BBQ and Spa Pool tub as well as a flybridge lounge. 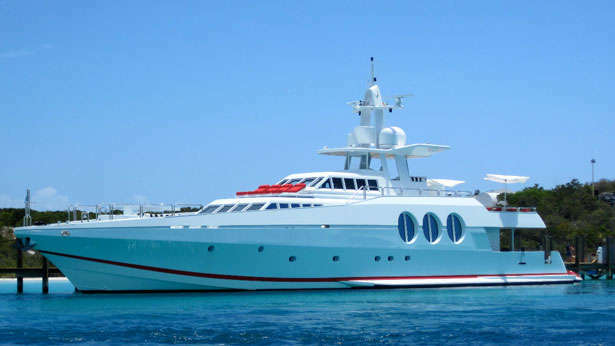 Yacht charters aboard Never Say Never offers 6 suite cabins for up to 12 guests. The master stateroom is on the main deck with a large king size bed. Below deck is the VIP cabin with a king size bed. 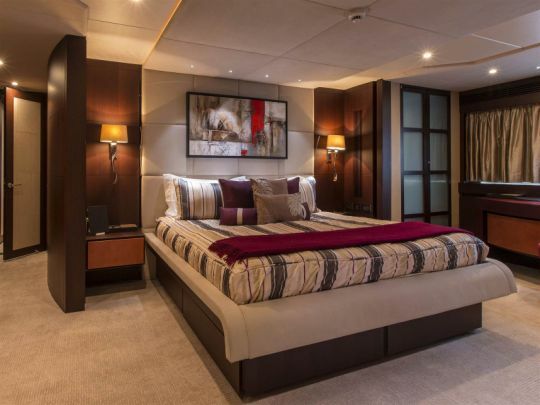 A further 4 twin cabins are on port and starboard sides of the ship, with side by side single beds.